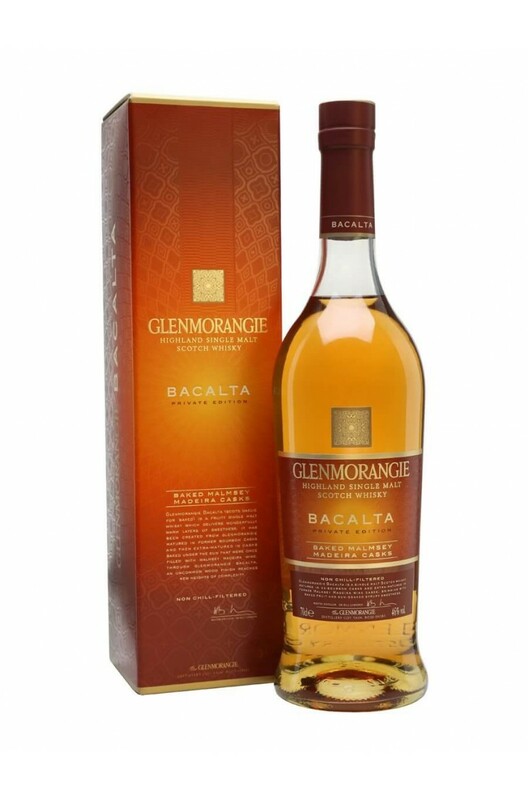 The eigth release from Glenmorangie's Private Edition series is the Glenmorangie Bacalta which has been finished in sun-baked Malmsey Madeira casks. Sticky fruit notes like apricot and dates are prominent with hints of nuttiness in-between. Aromas (without water) Succulent apricots ripened in Madeira’s island sun emerge from fragrant, honeyed aromas. A curiously flinty note gives way to beguiling hints of white chocolate. Palate (without water) Complex layers of honeycomb follow an initial burst of mint toffee. Almonds come forth to mingle with dates, caramelised oranges and more apricots.